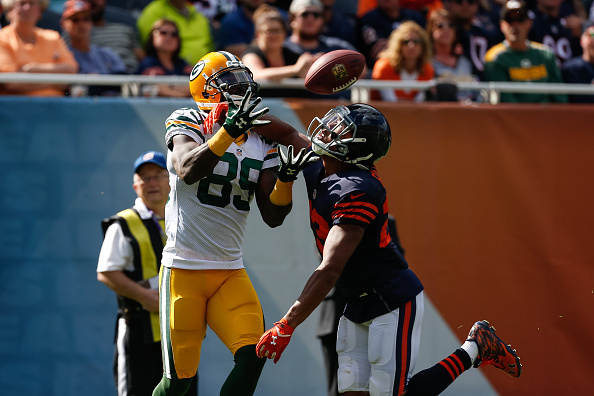 Aaron Rodgers continues to have a magic touch against the Chicago Bears, as Sunday the Packers QB threw for three touchdowns, two to James Jones, as Green Bay beat Chicago 31-23. Rodgers is now lifetime 13-3 against the Bears, on the day he went 18 of 23 passing for 189 yards. Jones got an opportunity to have a big day with the absence of Jordy Nelson, who is out for the season. He four passes for 51 yards. That included a one-handed grab on a 13-yard score late in the first quarter that left Rodgers flashing back to 2012, when Jones led the league with 14 TD catches. ”No disrespect to James, but I don’t think it was that out of character,” Rodgers said. Eddie Lacy ran for 85 yards and a late touchdown. Julius Peppers chipped in with 1.5 sacks for the Packers. Bears QB Jay Cutler was 18 of 36 for 225 yards, with an interception. He also threw a 24-yard touchdown to Martellus Bennett with 34 seconds left, but Green Bay recovered the onside kick. 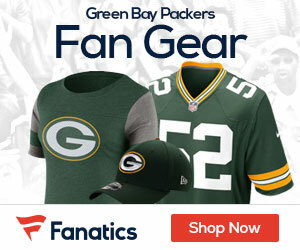 ”Green Bay is a pretty good football team,” new Bears coach John Fox said. Matt Forte ran for 141 yards and a touchdown. Alshon Jeffery caught five passes for 78 yards after missing the preseason because of a left calf injury. Robbie Gould kicked three field goals to give him 246 to surpass Kevin Butler as Chicago’s all-time leader.